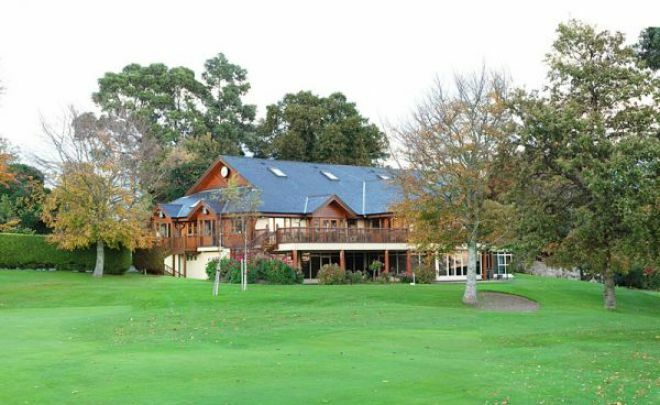 Old Conna Golf Club was designed by, Ireland’s renowned golf course architect the late Eddie Hackett, this beautiful parkland course measuring 6,519 yd‘s Par 72 with a standard scratch of 73 off the back tees. 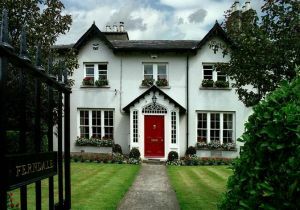 Offering panoramic views of the Irish Sea and the Sugar Loaf Mountain, with many fine holes set in exceptional woodland terrain. 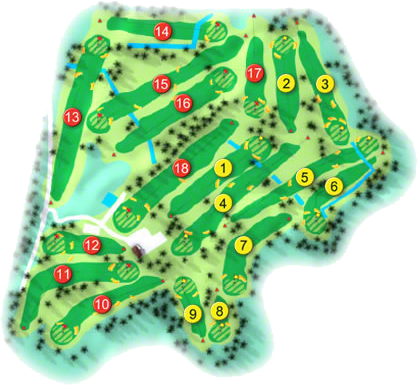 The finishing hole is a 511 yd‘s Par 5 with out of bounds along the right hand side into the orchard and behind the green. Quite apart from the customary warm welcome, a tempting restaurant menu and bar facilities await you in the bright and comfortable clubhouse. They won the All-Ireland Jimmy Bruen Shield at Woodbrook G. C. in 1993, when the team was, Tom Dolton, Frank Thomas, Paddy Delvin, Karl Purcell, Joe Drea, Ger Byrne, Mark Sheridan, Fred O'Toole, Richard McKeever, Des Crowley, Ray Wolfe and Joe McDonald, they were managed by Tom Sheridan and assisted by Ron Mason. They won the Leinster Final of the Irish Junior Foursomes in 1991, when the team was, Barry Dowling, Michael Horan, Niall Ruane, David Larkin and Mark Sheridan. They last won the Leinster Final of the Irish Junior Foursomes in 1998. They won the Fitzgibbon Cup in 1993, when the team was, Ray Wolfe, David Larkin, Alan Horan, Pat Hayden, Ger Byrne, Joe Drea, Paddy Devlin, P. J. Hall, Derek Rath, Brian Owens, Richard McKeever, Tom Dalton, Niall Ruane, Eamonn O'Sullivan, Frank Thomas and Philip Moran, they were managed by Philip Bredin assisted by Michael Leonard and Brian Horrigan. They won the Dublin Team Trophy in 1992, when the team was, Pat Thomas, Michael Leonard, Pat Mulcahy and Brian Horrigan, they were managed by Tom Dalton. They won it the previous year with, Liam Dwyer, Pat Mulcahy, Brian Horrigan, Michael Leonard and Brendan Burke, they were managed by Ron Mason. Old Conna won the Leinster Alliance Irish Times Shield at Woodbrook on the 30th July 2000. It was their fourth time to win it in five years. The team was Declan Kerrigan (6) 69, J. Drea (5), Pat Hayde (5) 74 and my old friend Ron Mason. It's great to see him still playing off 4. Mary Hennessy received a beautiful set of Ben Sayers Woods as a birthday present from husband Tony. The first opportunity she got to use them was in the Captain's Prize (Eddie Grove) to the Ladies. She fell in love at first sight with them as she shot a 61 net to win by nine clear shots, losing five shots off her handicap. As with so many other thriving Golf Clubs in the greater Dublin area Old Conna grew out of what was originally the "Opperman Golf and Country Club" then became "The Pat Quinn Club" at the Hotel in Kilternan known as "The Dublin Sports Hotel". In 1980 the members became dissatisfied with their tenure at Kilternan and began to look for an alternative location for a club of their own. Between 1980 and 1985 the Development Committee of John L. Byrne, John Mooney, Dermot Hitchcock, Brian O’Kelly and Ewan Byrne walked many estates and parcels of land but for one reason or another ended in disappointment. They came close to purchasing The Old Conna Estate when it came on the market in 1982 but their offer of £300,000 was not acceptable. Fortunately the Estate was back on the market in 1985, by which time the members were in a bad financial position resulting from endless fundraising. Their offer of £500,000 was accepted and the purchase was concluded on the 3rd July 1986. Application for membership was so encouraging that they were in a position to purchase the remaining land required to complete the course layout this land was bought at a premium price as there was planning permission for houses in this very sought after area. The Course and Clubhouse was, officially opened on Friday 10th July 1987, by the President John L. Byrne who had worked tirelessly to bring the Club at Old Conna into existence. The overall cost was £1,200,000. By 1990 the greens suffered severe compaction problems and had to totally lift and relay all the greens at a cost of £250,000. After this the Old Conna Golf Club has grown from strength to strength.